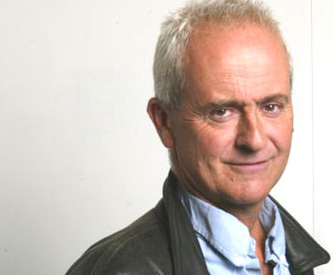 Barely a day passes these days without Nick Davies’s picture byline on the front of The Guardian. He is the investigative journalist behind the story of the moment: phone hacking, Murdoch and the News of the World. Davies is journalist as rock star – handsome, charming, and confident bordering on arrogant. 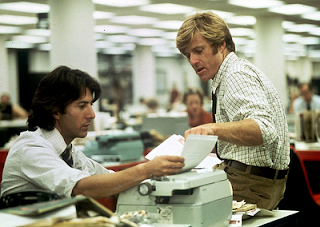 He has been called "courageous", "heroic" and "the British Bernstein and Woodward to Murdoch's Nixon" (he was apparently inspired into his line of work by the Watergate scandal, filmed as All The President's Men with Dustin Hoffman and Robert Redford). Oh, and "pompous", according to Private Eye editor, Ian Hislop. Last year, I attended a talk Davies gave with The Guardian’s other super sleuth, David Leigh. The two could not be more different. Leigh cuts a scruffy geography teacher figure. He stood at the podium and spoke quietly and humbly about his work, his methods, the stories he is most proud of. Davies, in black jeans, leather jacket and a headset, paced the stage like a tiger, regaling the packed hall with tales. To his credit, he tried to convey the unglamorous side of his business – the endless chipping away at a story, the lonely days away from home, the slow pace of events. But his energy made it sound impossibly exciting. After the talk, in the bar, he was surrounded by female admirers. The masterclass was off the record. But it's not too controversial to say Davies talked about his early days as a reporter in South Devon, recently graduated from Oxford. A seasoned photographer accompanied him on his first “doorstepping” – visiting a young widow to talk to her about her husband’s death at work in suspicious circumstances. “What are you going to say?” asked the old-time hack. “I’ll tell her I’m investigating her husband’s death,” replied Davies, brimming with confidence. “She’ll shut the door in your face," the old hack said. "Tell her you're writing an appreciation of her husband, and she'll invite you in for tea." It was Davies's first lesson in the art of investigation. How does he decide what stories to investigate? Anything that makes you think, hang on, something doesn't add up here, he told us. Phone tapping at NoW is just the first in a long line of impressive scoops. He uncovered the story on nurse Beverly Allitt, has investigated education, drug policy and penal reform. And he spotted the potential in Wikileaks before anyone else. Unsurprisingly, he has a book deal from the Murdoch story, it was reported yesterday. Guardian editor, Alan Rusbridger, says Davies never gives up. "Although he's in his mid to late 50s now, he's still got an amazing appetite for standing on doorsteps, for getting out and meeting people, and spending long evenings in seedy bars or whatever it takes to get the story," he told Radio 4 last week. "He is a troublemaker, and quite often when he comes into the office, your heart sinks because you know there's going to be trouble. That happened when he came in and said, 'I've just met Julian Assange and he's got the biggest cache of secrets the world has ever seen.' Part of you thinks, that's fantastic, and part of you thinks, oh God, how are we going to deal with that one?" Daily Telegraph political journalist Peter Oborne has said: "He's uncomfortable to be with, there's no ease when you're with him, you make a joke and he tends not to get it. But I have no doubt that he's the greatest living British journalist." In a way, Davies is why almost anyone becomes a journalist: he uncovers the truth, and his stories change things. Right now, the press, police and politicians are changing how they do business with each other. I can't say many of my stories have achieved that.